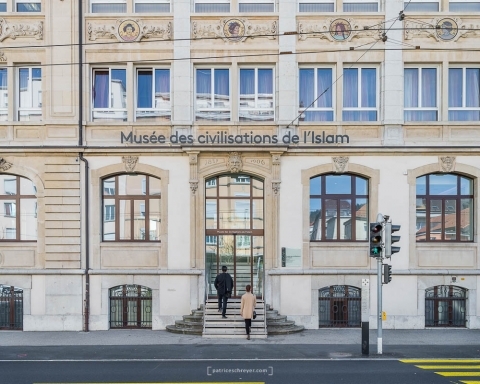 The Museum of Cilisations of Islam is a unique experience, exploring and questionning fifteen centuries of history. The visitor is taken on a sensual, varied, frank and sometimes intriguing introductory tour, exploring the ignorances, reinventions, revelations, interpretations, influences and agonies of a rich, plural and dynamic Islam. 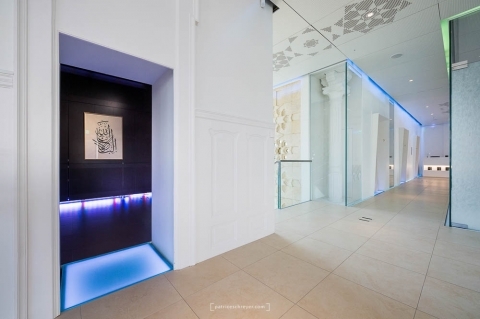 An exhibition space of declination completes the cultural offer of the museum. Currently, calligraphy by Bachir Hamzeh in Thuluth and Naskh styles, dating back to the 9th century and used especially for large engraved inscriptions. Each of them illustrates a verse from the Quran except the last, which represents the motto of the Nasrid princes in Granada (Spain).